Made using "Ardbeg spec" malt from Port Ellen Maltings, peated to 50ppm. Nose: Big peaty hit up front, but light, sweet with some citrus notes. Some medicinal notes, but not overpowering. After a while - ash, lots of ash. 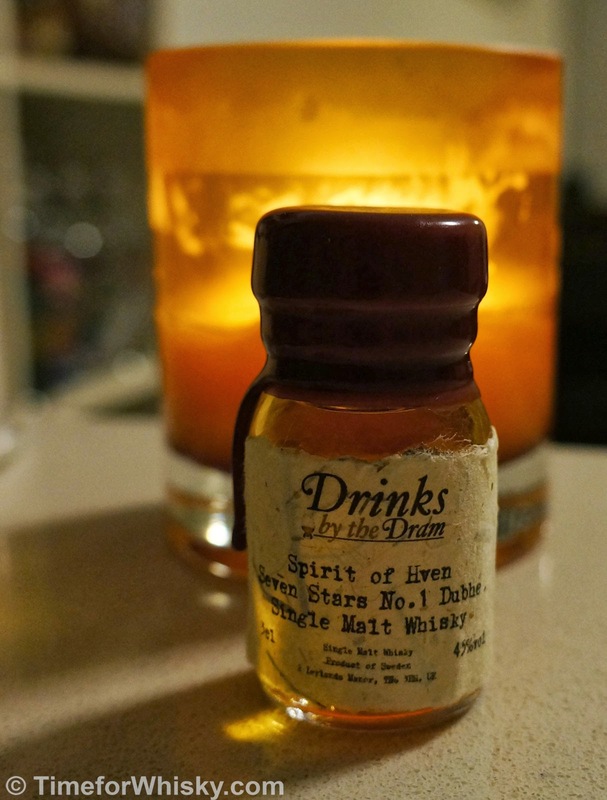 Palate: Tangy citrus, peat continues, with a really sharp citrus zest. Very much like a "young Ardbeg" as described by Anthony. Finish: Very short (not surprising given the limited time in oak), peat, some ash. Not a lot going on. A vatting of 3-4 year old malts, made from barley grown on-site. Makes up 15-20% of Kilchoman's production, peated to 20ppm. A #101drams whisky. Nose: Very, very youthful - bananas, bubblegum, asparagus. A drop of water gives it some subtle grass notes with more peat smoke. Palate: Better than the nose. Peat, grass, oatmeal. Finish: Long, smoky, but not a "one tricky pony", with oaty notes and a final hint of grass. The core expression, finished in Olorosso sherry casks. A vatting of 3-4 year old whiskies + some 5 year old whisky. Nose: Breakfast cereal, minimal peat, chalk. Palate: Spice, smoke, big mouthfeel. Slight berry flavours and hints of peppercorns. Finish: Medium to long, with an ashy smoke similar to Ardbeg. ....but wait, SMWS Australia's cellarmaster Andrew Derbidge notes something isn't right (if there's someone in Australia who knows more about whisk(e)y, I'd like to meet them), and quietly whispers something to Dave from The Oak Barrel. Turns out this bottle was corked! A few picked it as being "not quite what they remembered", and I picked it as being "OK, not brilliant" (having not tried it before), but only Andrew picked up the traces of TCA, or cork taint. Dave was kind enough to open another bottle so we could experience what the whisky should have been.. The core expression, finished in Olorosso Sherry casks. A vatting of 3-4 year old whiskies + some 5 year old whisky. Uncorked this time. Nose: Still breakfast cereal, oat cakes, and smoke, but no chalk! Palate: Smooth and pleasant. Less peppery notes. Finish: Long, wafts of smoke, with less ashy notes. Full Sherry maturation, IWSC Gold medal winner (2012). Colour: The darkest of the lot, deep, rich honey. Nose: Spice, berries, the youth dominates though - banana notes are evident. As with the Summer 2010, time brings more notes of ash. Finish: Lighter, medium length, smokey to the end. Nose: Wouldn't have picked this one as 58.2% ABV! Sweet, honey, some spice. Not dissimilar to the notes found in Lochan Ora or a whisky liqueur. 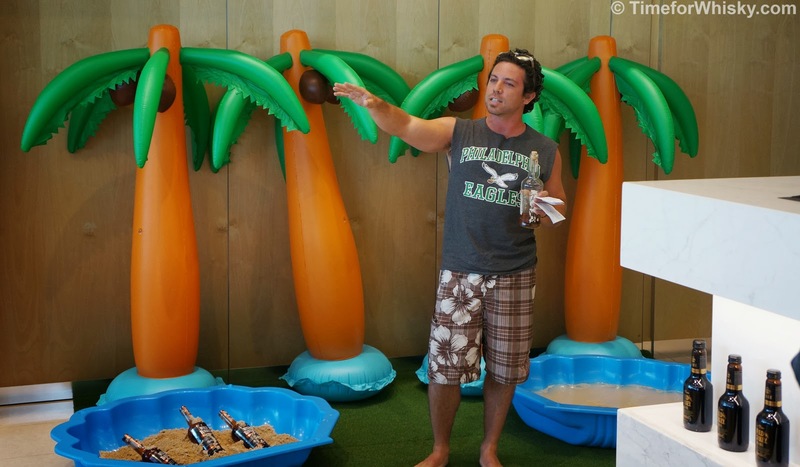 A drop of water adds some tropical fruit notes. Palate: Big smoke, big spice, candied nuts and dried fruits. 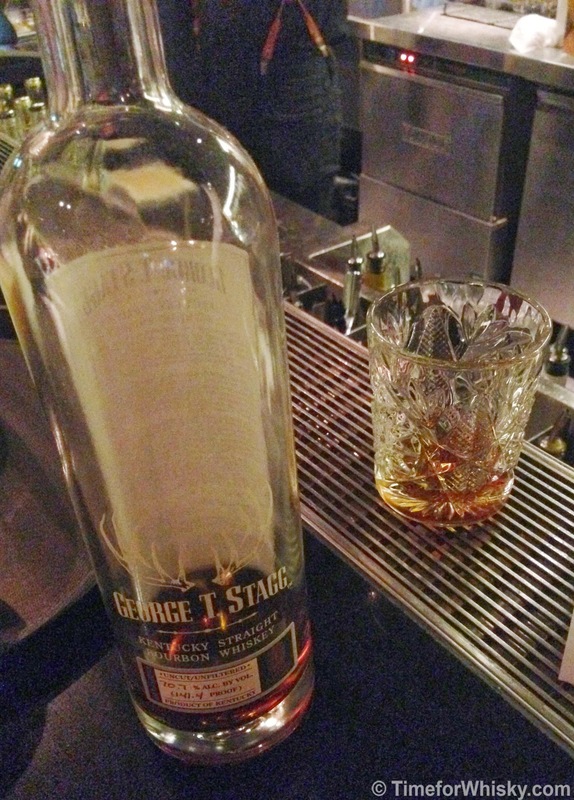 Finish: Long, with just the right amount of peat smoke without being overbearing. A good mix of fruit, nuts, spice. Complex for such a young whisky. Slight burn towards the end - but not unpleasant. This is a high ABV whisky after all. 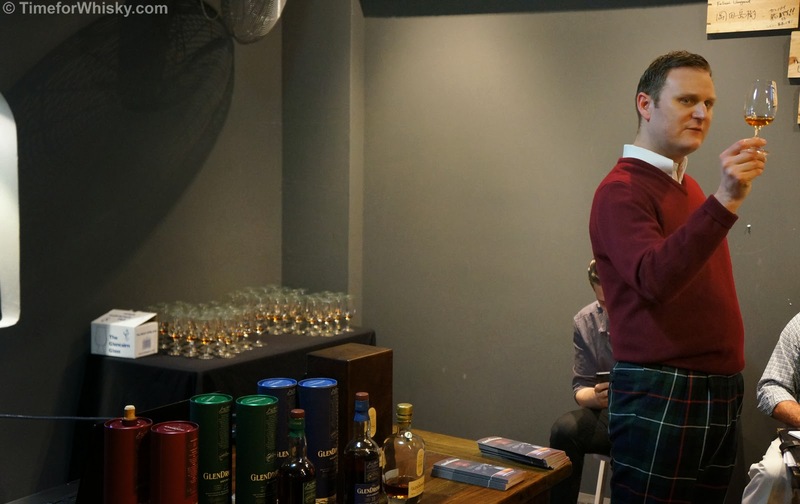 It hadn't even been a month since The Oak Barrel Sydney hosted Douglas Cook from Glendronach, when us keen members found ourselves back in The Oak Barrel's tasting room, ready to hear from another Scotman (adopted this time*) about another Scottish distillery. This time, that distillery was Scotland's youngest whisky producing distillery, and the (adopted) Scotsman was the Founder, Managing Director and Master Distiller of said distillery. Having only tasted the odd Kilchoman (both OBs and SMWS releases), I was keen to taste the majority of their regular OB lineup. Anthony, an Englishman who previously worked as an independent bottler, saw a growing interest in Scotch Whisky in the early 2000s, and (seeing the impact this could have on the independent bottling business) decided to mitigate any future supply issues by starting his own distillery (makes sense, right? Nice if we could all do it.) 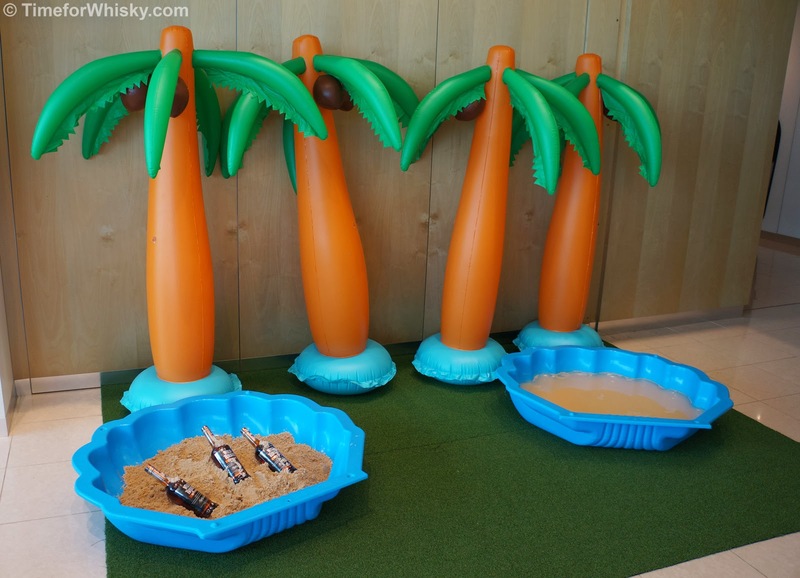 As a fan of the classic, peated Islay taste, Islay seemed a natural home for the new distillery. Despite difficulties, Anthony managed to secure the necessary investment and commenced production, engaging Dr Jim Swan (who we met during last year's The Whisky Show) to craft a whisky with a profile that would be conducive to reasonably quick maturation, despite Islay's cold climate. 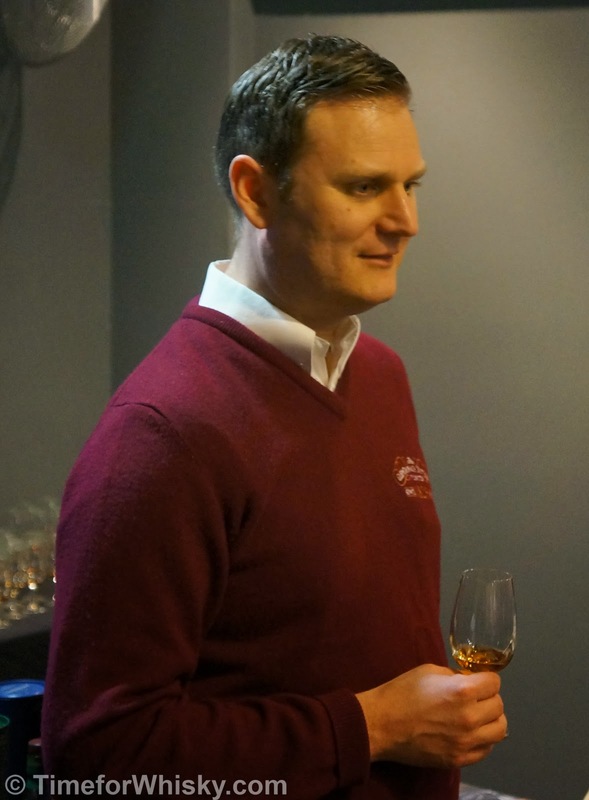 Anthony explained that while Jim originally estimated a 5-6 year maturation timeframe before the product would be of sufficient quality, upon tasting the first new make spirit to run off the stills, he revised this to 3 years (the minimum timeframe for such a spirit to be called "whisky" in Scotland). 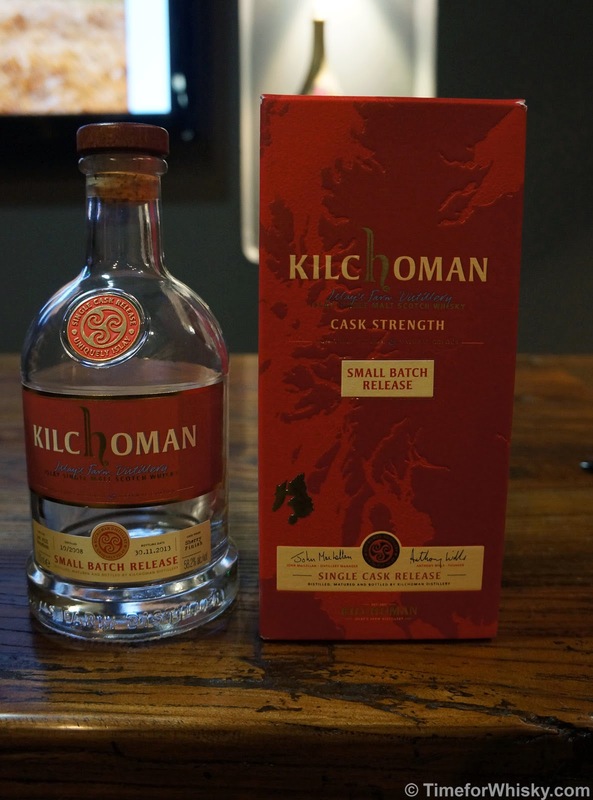 Kilchoman have a strong focus on wood, with first fill barrels used heavily and a steady supply of ex-Bourbon barrels from Kentucky's Buffalo Trace. Starting with a cask filling rate of 12 casks per week in 2005, the distillery now fills 28 per week, and is on target to produce 150,000L of spirit this year. 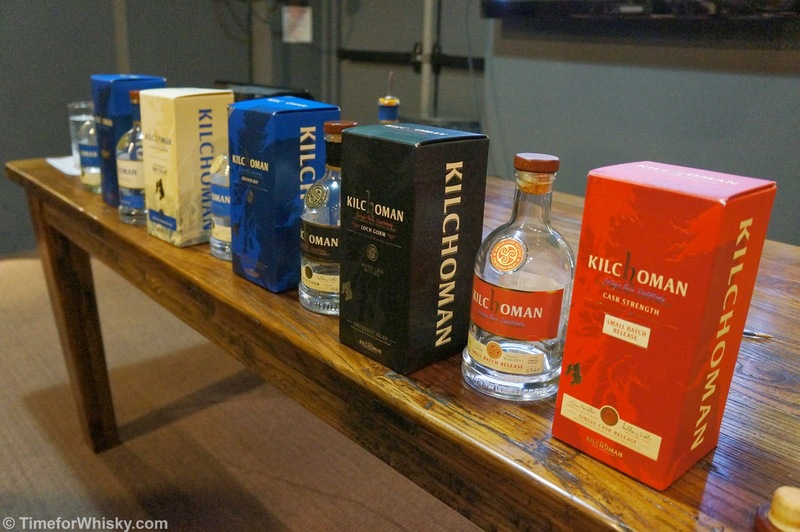 A small amount in comparison to many of the established players, no doubt, but consider that number against the global penetration Kilchoman have managed to achieve in a relatively short space of time, and you have an impressive feat. I'll leave the tasting notes for another post to follow soon after this one, but suffice to say that despite my initial hesitation given the youth (and given what I'd heard from some other whisky writers I respect), I enjoyed every single expression. Having seen first hand since the last donation the devastation that cancer can take on a person (not to mention their loved ones), I'd really encourage everyone to consider donating to a charity like Cancer Council Australia. 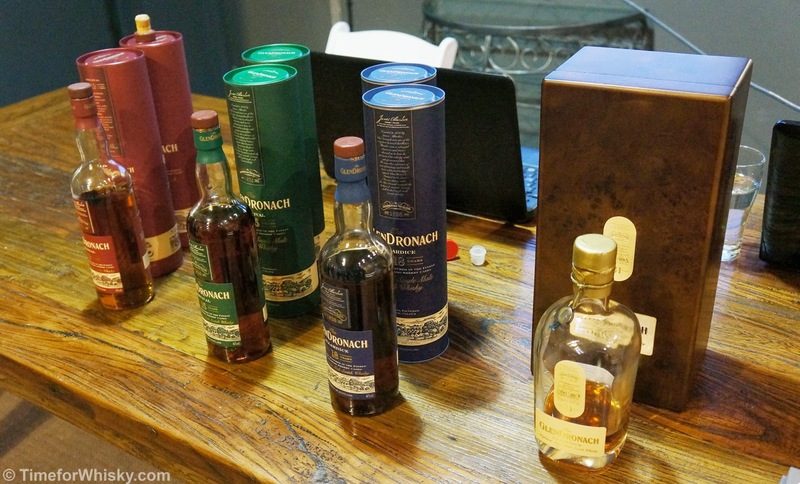 Tasted #65, #66, #67 and #68 (phew) - Glendronach 12, 15, 18 and 31yo "Grandeur"
The other week I attended The Wild Rover's "Campbell Corner Whiskey Co-Operative" (CCWC) launch, which saw us taste the Glendronach 12, 15 and 18yo with Douglas Cook of the distillery. 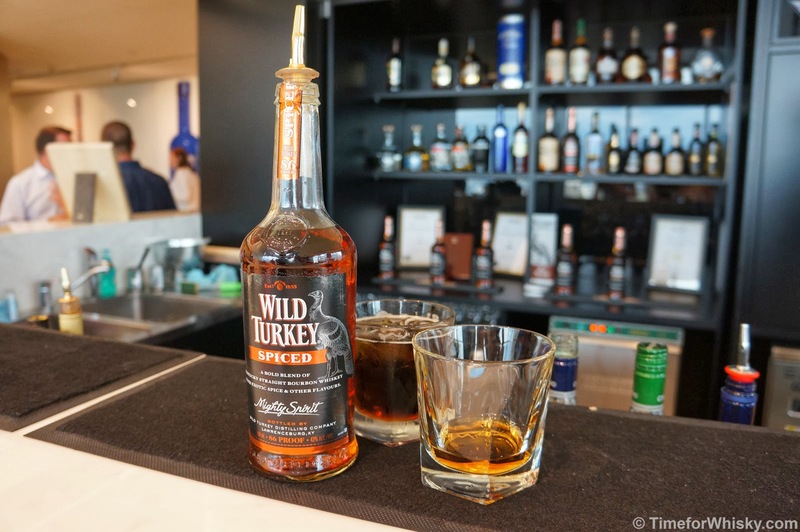 Two days later, I was again sitting before Mr Cook (this time at the Oak Barrel) tasting the same line-up, but with one noteable addition - the 31yo Grandeur (Batch 1). As the scores below probably indicate - these were all fantastic whiskies. Nose: Sherried, but not in a "smack you in the face" sherrybomb manner. Sweet, youthful, strawberries, candied fruits and the oft-mentioned "Christmas cake". Palate: Nutty, dry (PX? ), big sherry influence. Finish: Dry, long, with a hint of citrus tang on the sides of the toungue. Rating (on my very non-scientific scale): 91/100. Definitely value for money as a quality, everyday drinking sherried dram. Colour: Burnt orange but with more of a red hue than the 12yo. Nose: Spice, caramel, cinnamon and orange peel. Palate: Even more spice (this wasn't present on the 12yo at all), ginger, berries. Big tannins, big mouthfeel. Finish: Sweet, medium to long, berries right to the end, with a hint of orange rind at the very end. Colour: Deep, deep copper. Almost burgundy. Nose: Massive sherry hit. No surprise as to what type of cask this was aged in. Definitely has some older hints (leather, oak) but also sweet honey notes, which were unexpected. Maple syrup? Blueberries too. Complex. 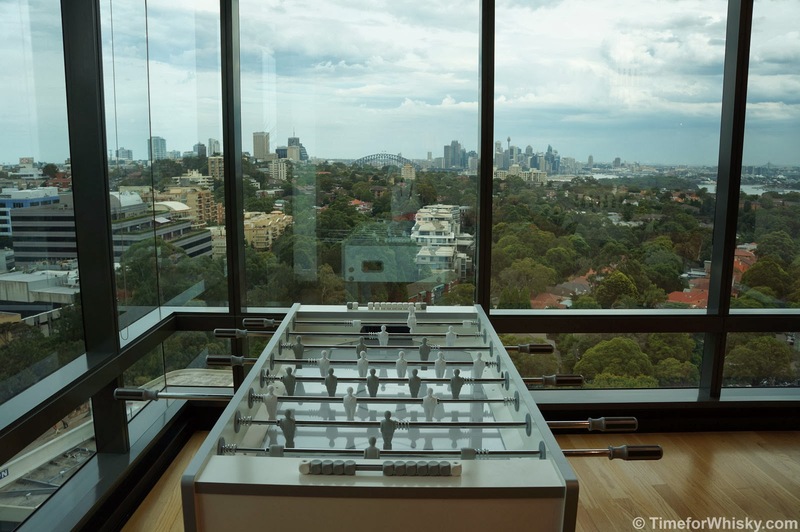 Could definitely nose this all night - preferably by a fireplace in the middle of winter. Palate: Huge mouthfeel. Silky, soft and delicate but bursting with notes of blueberries, spice (though not as pronounced as the 15yo) and oak. Finish: Sweet, big tannins, drying, extremely long, and still with those berries. Rating (on my very non-scientific scale): 94/100. A truly great whisky. Colour: Dark copper / burnt dark orange. Nose: Rich, with notes of port, sherbet, and berries (though this is no sherry monster). Age has definitely softened it. Palate: Soft and subtle - no dominant characteristics here. Fruity, almost floral. Again, the age seems to have softened it. Finish: Very, very long, berries, stonefruits. 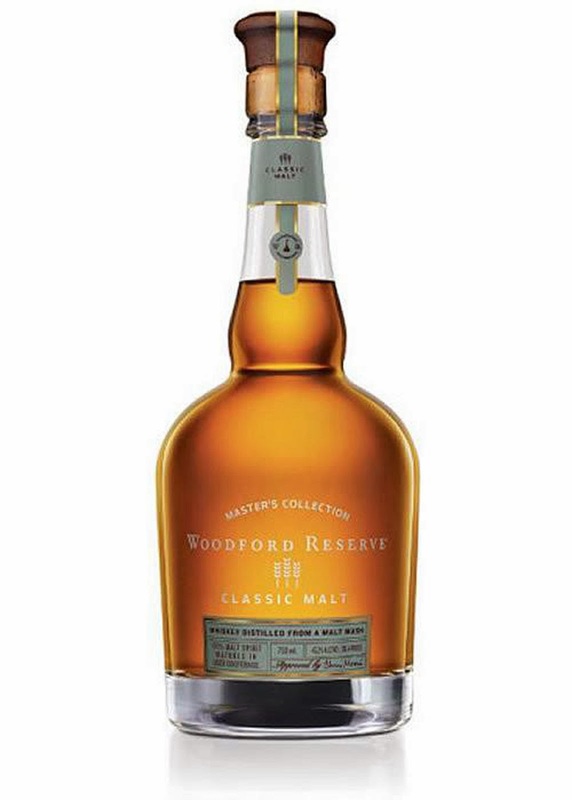 It's single malt, but not as you know it - Woodford Reserve release "Classic Malt" and "Straight Malt"
We've featured Woodford Reserve's "Master's Collection" on the site before, but for those unfamiliar with the series, it's basically Woodford's annual opportunity to go a little crazy. Different finishes, different casks, four wood aging, and a few interesting ryes are a few examples of recent releases, but for this year (late 2013 in the States - we're a little behind) they've gone one step further with the release of two single malt whiskeys, and I hear through the grapevine we'll see them in Australia later in the year (and maybe earlier than that at the odd tasting). 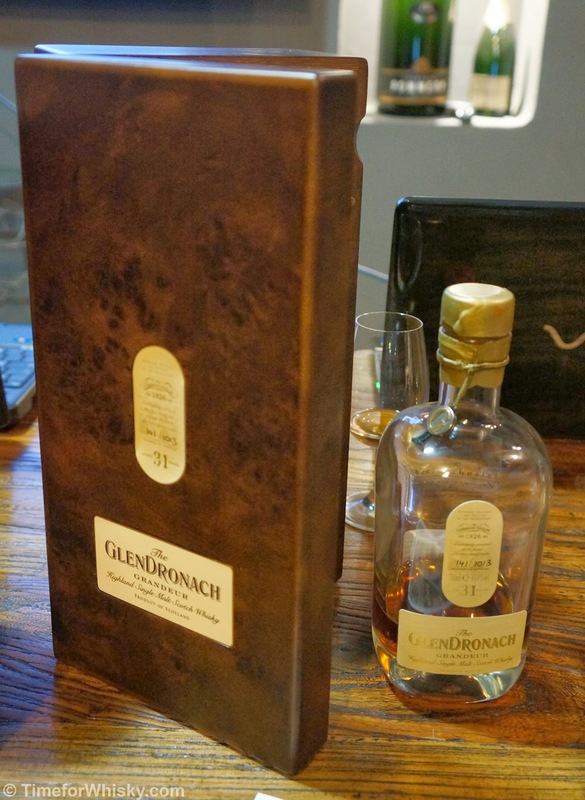 The two releases are "Classic Malt" and "Straight Malt", both made from 100% barley, but differing by the types of cask used for aging - the Straight Malt in virgin oak (in the same way Bourbon is aged), the Classic Malt in used Bourbon barrels (in the same way a lot of Scotch whisky is aged). With both sitting at 45.2% ABV (continuing Woodford's trend of having all their whiskies end in 0.2% ABV), these should be interesting to compare. We can't wait. The Wild Rover's "Campbell Cove Whiskey Collective"
I've voiced my thoughts on Jim Murray on this site before (in summary, I respect what he does but think people place too much emphasis on his ratings, considering he's only one man), but regardless, the man has tasted more whisky than the majority of us, and people keep buying his annual book release, so I guess his opinions are still highly regarded. One of his views that I agree with, it seems, is that the NZ Whisky Company 21yo "South Island Single Malt" is a damn good whisky. I considered it the equal best when tasting 10 of their releases back in 2013, and Jim has given it 95 points in his 2014 Whisky Bible. 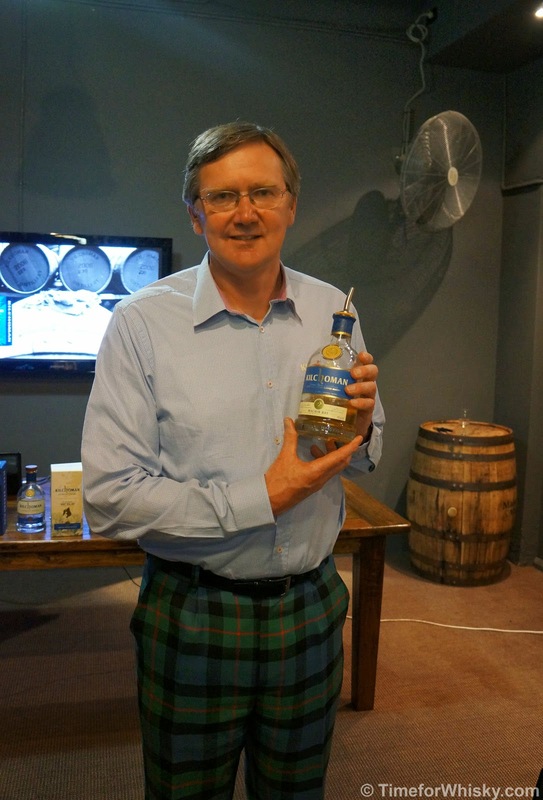 "In a great start to 2014 for the New Zealand Whisky Company, Jim Murray’s latest edition hot off the press in London, sees the South Island Single Malt 21 y.o. scored at 95 points, placing it in the highly coveted category. 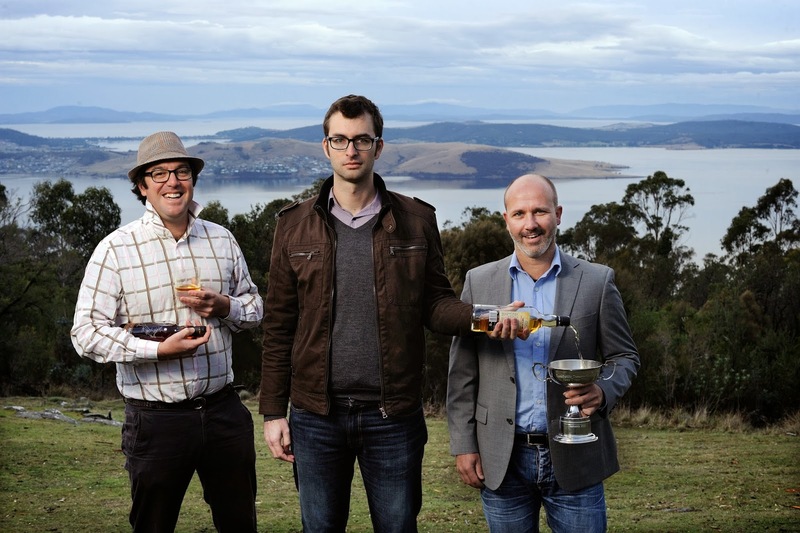 This is the first time ever that a New Zealand whisky has scored so high and been anointed ‘Liquid Gold’. The South Island Single Malt is the company’s flagship single malt, aged for 21 years in American Oak, ex-bourbon barrels. According to Murray’s latest bible, “you would be forgiven for thinking this was a 30 or even 35-year-old Speysider; almost a grassy maltiness melding into the light, exotic fruit and freshly chopped celery. Clean, delicate and elegant beyond words. 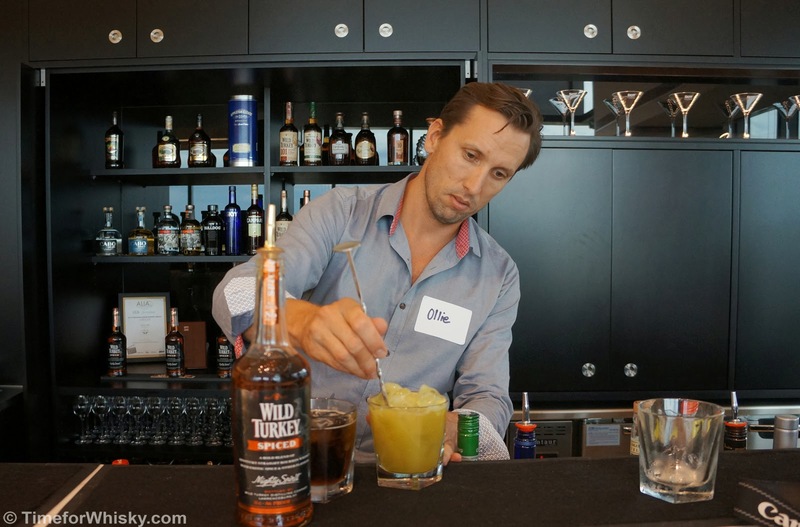 The whisky is now exported from Oamaru and available across Canada, the UK, Australia and Europe."